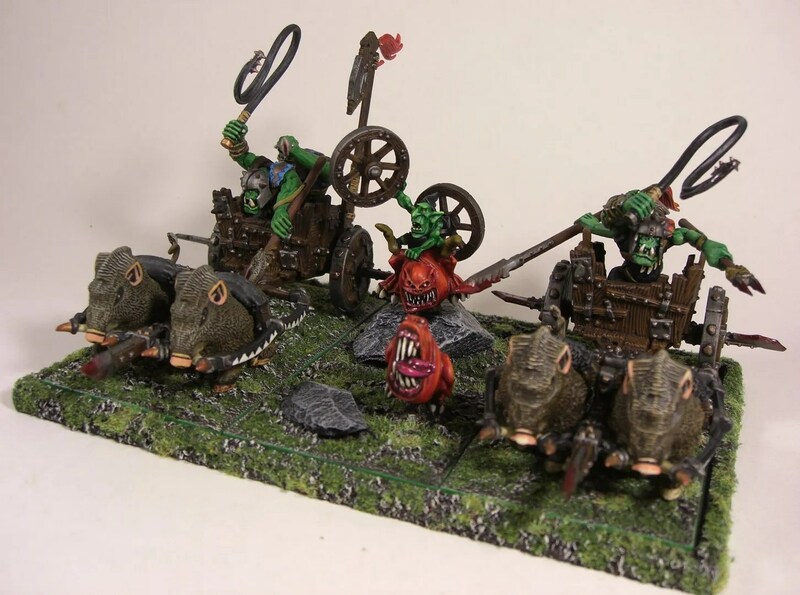 I finished off the 2nd chariot and got round to taking a few photos of the completed unit. 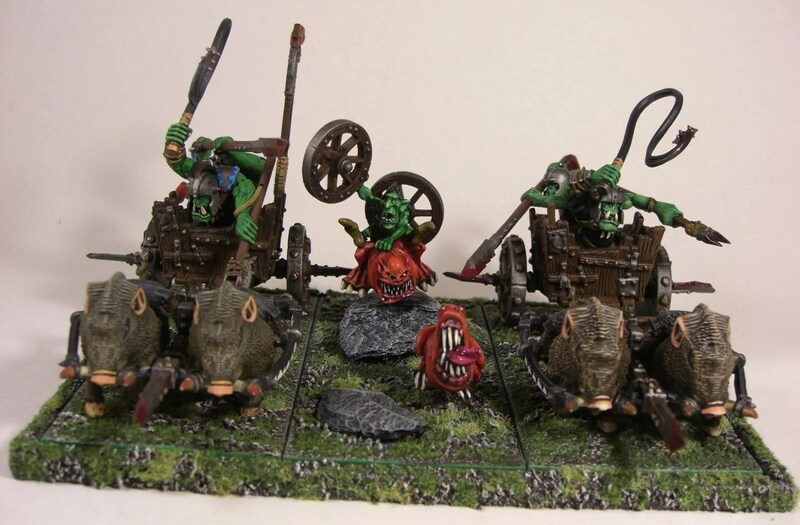 That’s another unit ready for my Orcs in Kings of War. 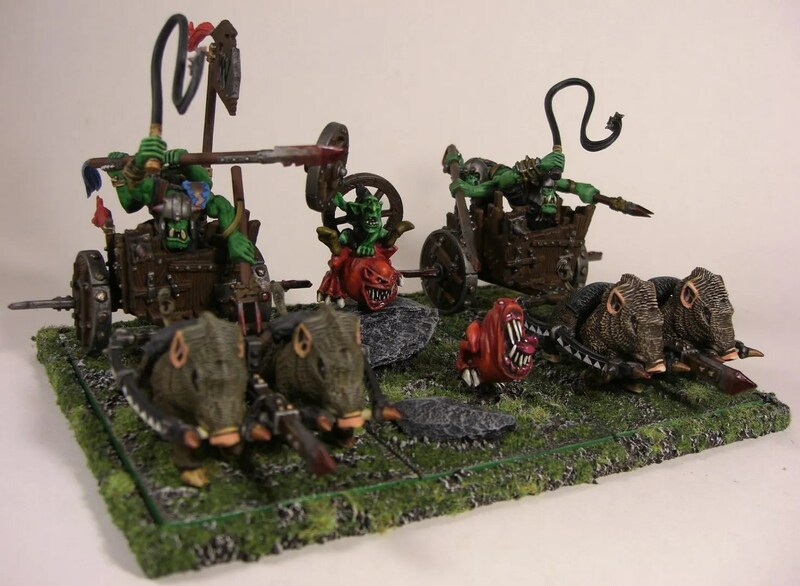 As I said in an earlier post, I was miffed that the new rules for Kings of War had moved to units of 3 chariots instead of 1’s. I can’t get 3 to fit together because of the wheel spikes so I added the “mechanic” from a pile of parts I had. 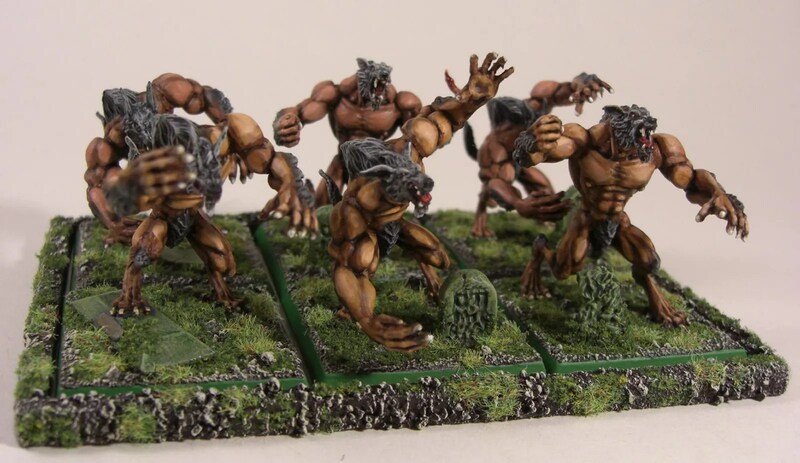 While I had the camera out, I also took a photo of the extra 3 werewolves I painted up a few months ago to make the unit of werewolves into a unit of 6 for my Undead army. I’m now putting together and trying out a few paint jobs on some US Infantry for Bolt Action. I’ll post some photos when I have some finished.